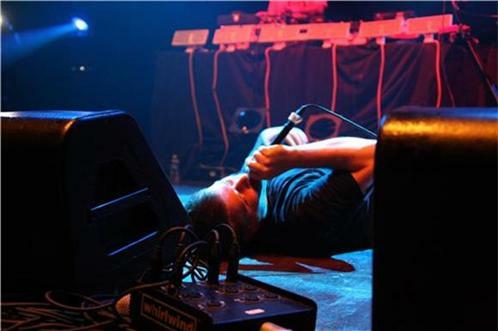 El-P, aka El Producto, is one of hip-hop's most obstinate and adventurous pioneers, combining a lo-fi old-school aesthetic with a progressive rock musician's inclination to push boundaries. He has never succumbed to the demands of corporate rap, instead choosing to pursue his own decidedly non-commercial direction. In the mid-'90s, he developed a strong reputation with the groundbreaking trio Company Flow, a band whose achievements include El-P-produced LP Funcrusher Plus on Rawkus Records, a label considered by many one of the best for intelligent hip-hop. Over the group's auspicious stint together, he proved he was himself capable of intense lyricism as well as sonic production so powerful it could stand on its own. In the latter part of the '90s, El-P was also a collaborator with Blackalicious, Mos Def, and Dilated Peoples.